Pharaway Sounds continues its excavation of 1970’s Turkish rock with this little gem of a compilation. 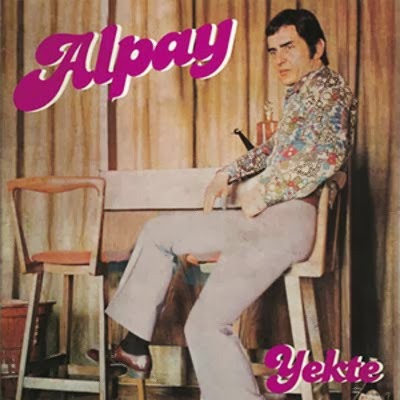 Alpay is a singer from Ankara who was quite popular back then, mostly known for his pop and folk material. 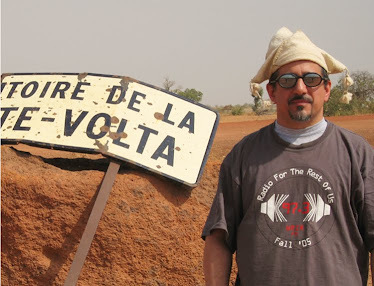 But the Anatolian psych-rock movement was so strong that it swept in artists from all styles. In Alpay’s case, the result was some of the most tuneful Turkish rock I’ve heard: 7 is just plain beautiful, 1 and 9 could be straight garage rock but for their gorgeous, emotive vocal lines. 12, the B-side of a single, is a real find for me: it starts with a buzzing guitar hook and evolves into an atmospheric Turkish folk-rocker that plants itself into your earworm-memory. And as Angela Sawyer (Weirdo Records) points out in her excellent liner notes, 3 will remind you of The Zombies’ “Time Of The Season” with its intimate singing and fuzzed-out backing. The more 70’s Turkish stuff I hear, the more I realize how much outstanding music was made in that brief era. Fans of psych and garage rock take note – there’s a wealth of Turkish material you’ll really dig if you give it a chance.